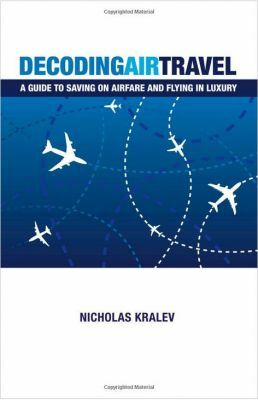 "Decoding Air Travel" is the most comprehensive and insightful work to date on the intricacies of the modern air travel system from a customer perspective, and the most effective tool for making travel more affordable, convenient, comfortable and fun. It's the only book that can teach you how to save hundreds — even thousands — of dollars per ticket by building your own airfare, how to fly in Business and First Class for the price of coach, and how to enjoy various travel luxuries at no additional cost. The book has two goals: Improving your travel life and saving you lots of money. It seeks to achieve those goals by helping you become a knowledgeable, smart and sophisticated traveler who has mastered an increasingly complex and frustrating system and can work it to his or her advantage.